The Acura Advantage Leasing Program is making luxury more accessible than ever! Drivers who don’t want to compromise on their next new car will be pleased to know that a new Acura could be theirs for just a fraction of the sticker price. We here at First Coast Acura Dealers want to help you get the driving experience you’ve always wanted. Do you have questions about the Acura Luxury Lease? Let us know. 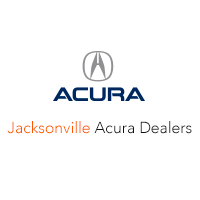 Contact or visit a First Coast Acura Dealers near you to learn more.